The drop down menu at the top of this page will let you select the image gallery for each track event we have shot recently. These will be removed and updated each month. We will store the image files for many years though - they are not deleted and can be ordered at a later date if you have recorded the event date and image numbers. Just a reminder to all our prepaid ride day customers - your images will not be displayed in these online galleries as they have already been uploaded to Dropbox with a dowload link sent out to you. This is always our priority task after each ride day. 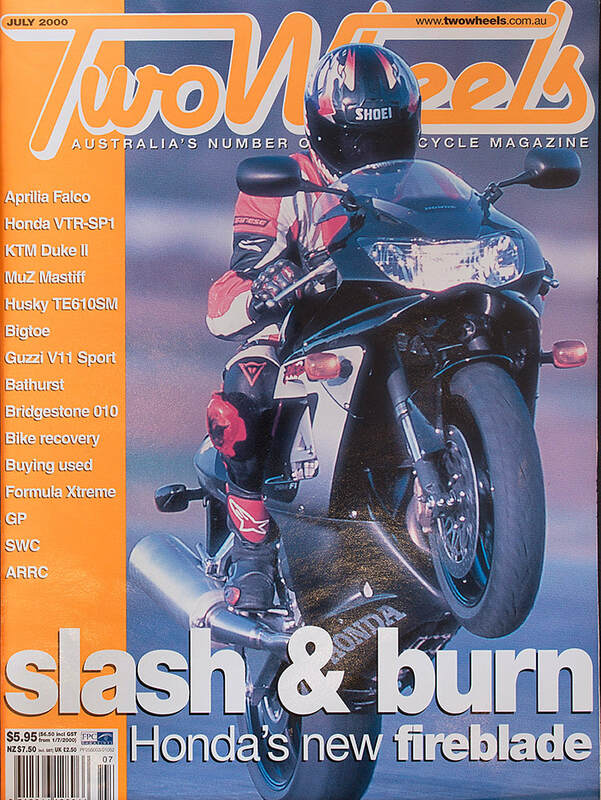 I have had numerous covers for bike, car, 4WD, and truck magazines over the last few decades. The cover below remains one of my first and favourite covers. It was shot late in the afternoon at Oran Park Raceway where we halted a ride day for half an hour while Matho made several passes on the new Fireblade until I was happy we had the shot. I have always been fussy with the results of my photoshoots and I still put in the same effort shooting at ride days to ensure I supply the best possible images for each rider. Copyright ©tim munro photography. All rights reserved.